Ahead of the 2019 general elections, the Senator representing Kwara South Senatorial District, Dr Rafiu Adebayo Ibrahim has obtained the Peoples Democratic Party (PDP) Expression of Interest and Nomination Form to seek re-lection into the Senate. An Media Aide of the lawmaker, Abdulqadir Abdulganiyu, who disclosed this in a statement on Saturday, said his boss had heeded the clamour of his constituents to run for another term in the upper chamber of the National Assembly. 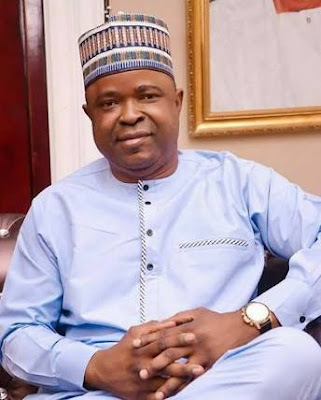 He expressed confidence that the lawmaker would pick the party’s ticket ahead of other aspirants, stressing that his record of achievements and performance in the senate in the last three years placed him on a good stead to clinch the ticket and eventually get re-elected. According to him, Dr. Rafiu’s re-election bid has received tremendous endorsements from his constituents and stakeholders across the seven local government areas of Kwara South. Abdulganiyu added that the Senator had consulted widely with the party leadership, party elders and relevant stakeholders including traditional and religious leaders within Kwara South and they have all offered their support. He noted that the lawmaker had performed excellently in his legislative duties and had delivered various constituency intervention projects including renovation of schools, provision of transformers, skill acquisition programmes, scholarships, provision of employment opportunities and empowerment programmes, among others. He assured that Senator Rafiu Ibrahim will continue to offer quality representation for the people of his constituency and ensure that they get whatever benefits that should accrue to them.